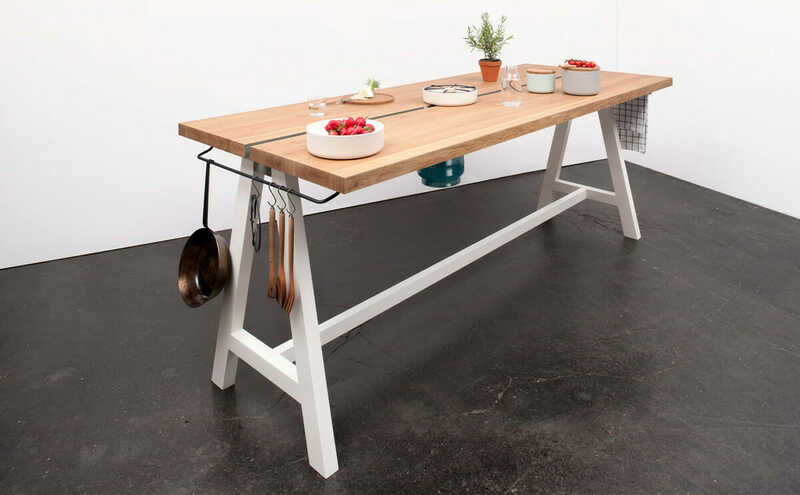 A cooking table that could be your everything table. 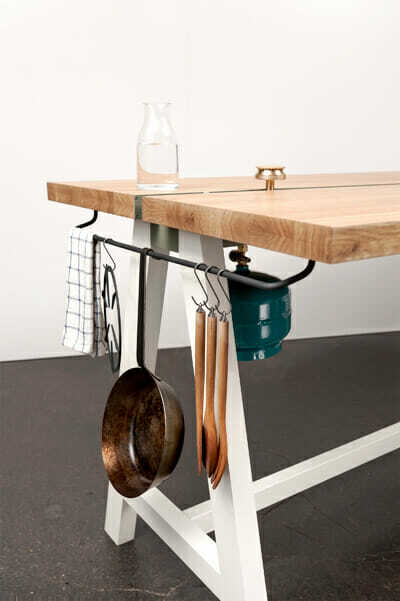 But the sleek lines of The Cooking Table, from German designer Moritz Putzier, mask a multifunctional ability that reimagines how we cook and eat together. The Cooking Table is a sleek, countertop-high table with gas burners running down the center, allowing it to double as a cooking range. Pots and pans hang from the sides, and matching ceramic containers can be used for cooking or storing food (the lids even serve as cutting boards). 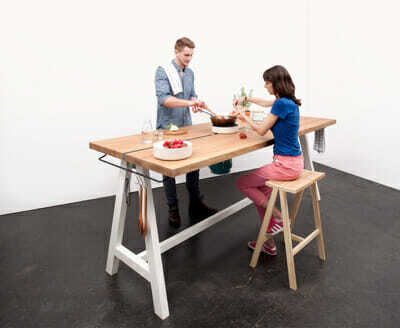 The cooking table can be placed in the center of a house, not just in a kitchen. A gas burner in the center can be moved along the table. Pots and pans hang from the sides. 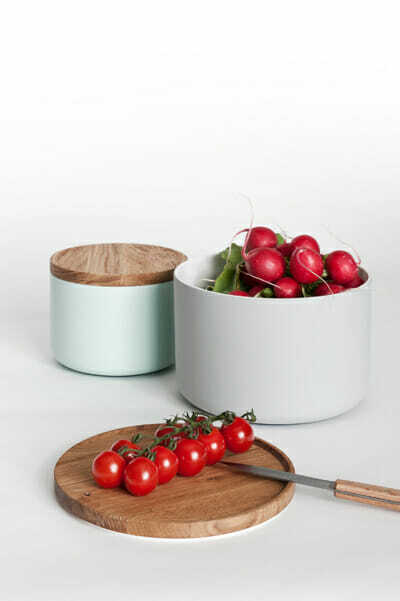 Multipurpose ceramic containers double as cutting boards. Photo credit: Caspar Sessler via Moritz Putzier.